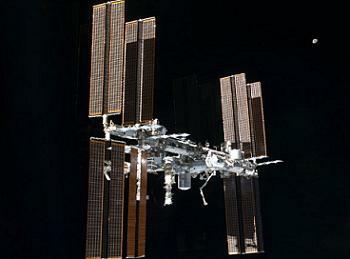 In a year that saw the station finally completed after nearly 13 years of construction, a number of new discoveries relating to the effects of long-term microgravity environments on the human body brought scientific activities aboard the International Space Station (ISS) to a record high in 2011. As planned since 2004, the Space Shuttle fleet retired in 2011 after completing construction of the ISS during the STS-134 mission, which saw the addition of the long-awaited flagship science instrument for the ISS – the Alpha Magnetic Spectrometer-02 (AMS-02), the second AMS instrument to fly in space and the first designed for long-duration flight on the ISS. AMS-02 is designed to detect antimatter (the opposite of matter) and dark matter (the matter we cannot see that could be causing the expansion of the universe). When particles of matter, which make up everything on Earth around us, collide with antimatter particles, which stream toward Earth from outer space, they annihilate each other, making them extremely difficult to detect since any antimatter particles are annihilated by particles of matter in Earth’s upper atmosphere before instruments on Earth can detect them. Thus, the only way to measure antimatter particles is to go above Earth’s upper atmosphere and into space. AMS-02, which sits atop the ISS’ truss, uses a magnet to bend the path of charged cosmic particles that pass through it. 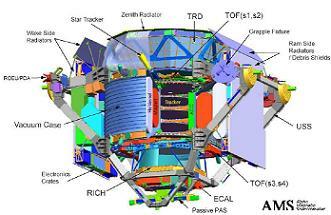 AMS-02’s on-board instruments then analyze these particles to determine their origin and type (i.e. dark matter or antimatter). A magnet is necessary as it allows antimatter particles to pass through the detector without having to come into actual contact with (and thus annihilate) any particles of matter. As of Christmas Day 2011, AMS-02 has detected ten billion cosmic particles; however, neither antimatter nor dark matter has yet been observed. Scientists are not certain of the existence of antimatter or dark matter, or how long it will take to detect them if they do exist, but it is possible that 2012 could see AMS-02 become the first instrument ever to detect the existence of antimatter and/or dark matter- a mammoth discovery that would literally shake the foundations of modern physics. Following the completion of the US Segment of the ISS on STS-134 and a final resupply run to the ISS by STS-135, the Space Shuttle officially retired from service on 21 July 2011, marking the transition from the ISS construction phase to the new utilization phase. In the utilization phase, a minimum of 35 hours of ISS crew time per week have been and will be devoted to scientific activities, as much as crews have been exceeding that requirement as of late. Also, whereas in the construction era when assembly, checkout, and maintenance activities would take priority over scientific experiments, the opposite is now true, meaning more crew time is now available for science. This long-awaited utilization era has been the dream of the ISS Program since its inception in the 1990s – a permanently crewed orbiting National Laboratory with scientific capabilities the likes of which have never been seen in space. The transition into the utilization phase of the ISS, while beginning in 2011, will continue throughout 2012 as scientists begin to take advantage of the full range of capabilities the ISS now has to offer. As dictated in law by the NASA Authorization Act of 2010, in September 2011 NASA selected the Centre for the Advancement of Science in Space (CASIS), located at the Kennedy Space Center (KSC) Space Life Sciences Laboratory in Florida, to manage non-NASA US research on the National Lab portion of the ISS. CASIS is an independent, not-for-profit organization tasked with increasing non-NASA research aboard the ISS by promoting the ISS’s now fully assembled facilities to potential researchers, an managing the process of getting non-NASA payloads onto the station with increased speed and decreased cost than was typically seen under NASA management. 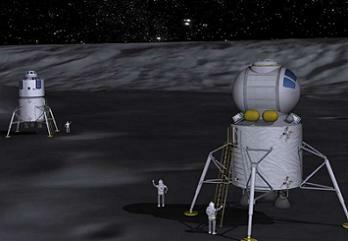 NASA research will still be managed from the Johnson Space Center (JSC) in Houston, Texas. While CASIS has thus far been slow to come online, 2012 should hopefully see CASIS begin to take over the role of management of the ISS National Laboratory with greater efficiency and reduced timescales. 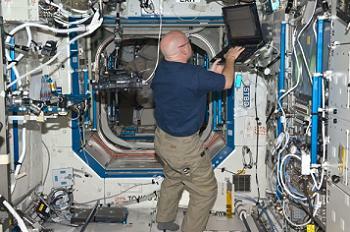 Meanwhile, commercial companies such as NanoRacks continue making great strides toward increasing ISS utilization on a for-profit basis, with impressive speed, efficiency, and low costs mostly achieved through the use of small experiment packages, standardized hardware, and Commercial Off The Shelf (COTS) products approved for use on the station. The fast pace and low cost of this operation has already opened up the ISS’s research facilities to groups, such as high school students, that were previously unable to afford the lengthy process of getting experiments onto station. 2011 also saw some interesting results of experiments from the station, all of which will be extremely valuable in planning future missions Beyond Earth Orbit (BEO). In April, it was revealed that experiments conducted aboard the ISS around the 2006-2007 period, but which had only just completed the analysis stage, showed that drugs stored aboard the station for long periods of time lost some of their potency (effectiveness). For the experiment, conducted by JSC in Houston, four boxes of drugs, each containing 35 different medications, were flown to the ISS, while four identical boxes were kept on the ground at JSC. The four boxes of drugs returned to Earth after varying amounts of time spent on the station, with the first returning after 13 days and the last returning after 28 months in space. The results were both startling and unexpected: the longer the drugs had been in space, the more potency they had lost. All of this occurred before the expiration date of the drugs, meaning that the space environment somehow negatively affected the drugs and decreased their effectiveness. Scientists theorize that this could be caused by a number of space-specific factors, including microgravity, radiation, vibrations, a carbon-dioxide rich atmosphere, and variations in temperature and humidity. As such, research into improved drug storage containers for spaceflight to mitigate this degradation of potency is now underway. Such degradation of potency is a potentially serious issue for future long-duration BEO exploration since astronauts on those missions, without access to advanced medical facilities, would need to take medication for certain ailments. In this case, reduced potency in drugs caused by long-term storage in space could render the drugs useless or at best severely limited in their effectiveness in combating an illness. Furthermore, in September, another potentially very serious condition was revealed that could have big impacts on future BEO exploration missions. Again conducted in the 2005-2006 period, this revelation was that long-term microgravity can (sometimes seriously) adversely affect astronauts’ visual acuity. In a survey of roughly 300 astronauts, 30 percent of astronauts who had flown short-duration (about 2 week) missions on the Space Shuttle and 60 percent of astronauts who had flown long duration (about 6 month) missions on the ISS reported experiencing vision problems as a result of spaceflight. The disorder appears to be similar to an Earth-based condition called papilledema, which, if left unchecked, can lead to blindness. Since the visual degradation appears to increase proportional to the amount of time an astronaut spends in space, this is obviously a concern since, while ISS missions last around 6 months, future missions to Mars could last 3 years or more. Since no crews in this study have spent more than six months on the ISS, it is not known at this stage whether vision will continue to degrade with time spent in space or whether the degradation will eventually plateau. Scientists theorize that the problem could be caused by increased pressure on the head and eyes by spinal fluid which is not pulled down in microgravity as it is on Earth. The exact cause however in unknown at this time, and research is currently ongoing aboard the station, including regular inflight Magnetic Resonance Imaging (MRI) scans of astronauts’ eyes and trails of new glasses which can adjust for visual impairments. While the above two discoveries present problems for future BEO missions, the station is also teaching us solutions to other issues. 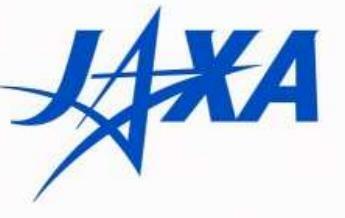 In December, a new discovery from an experiment conducted by the Japanese space agency, JAXA, was announced. The discovery showed that astronaut bone loss in microgravity, long thought of as a serious problem for BEO missions, could be severely reduced simply by having astronauts take standard osteoporosis drugs. Astronauts in microgravity typically lose 5 to 7 percent of their bone density in 6 months even when exercising for two hours per day. The study of five astronauts found that taking bisphosphonates once a week in addition to exercising significantly reduced bone density loss, with only 1 percent of bone density being lost in the femur and bone density in the hip actually showing a 3 percent increase. Despite critics’ claims that the ISS is a useless anchor to Low Earth Orbit (LEO) for the next decade, and that there is nothing left to learn in LEO, the evidence is clear: the ISS, only 6 months into its utilization phase, is already teaching us extremely valuable information about long-duration spaceflight. While not all ISS experiments may be particularly glamorous or exciting, the fact remains that the knowledge gleaned from these experiments is absolutely essential to our future progression in space and on Earth. While microgravity certainly presents challenges for the future, so far ISS has not identified any showstoppers to BEO exploration, and the knowledge gained from station, both in terms of direct scientific data and engineering know-how, will pay dividends in future exploration missions. As detailed, most of the experiments discussed in this article were performed in the 2005-2007 timeframe, when ISS was still in its construction phase and had nowhere near the scientific capabilities it has now. Due to the amount of time it takes to conduct an experiment in space and then analyze and publish the results, the fruits of a fully assembled and operational ISS likely won’t be seen for a number of years, meaning that ISS has much more to give over the coming years than has been seen in the past. Looking to next year, the ISS is set to enter its first full year as a fully assembled and operational space laboratory. In addition to the start of CASIS operations, a number of interesting experiments are due to be performed on ISS next year. 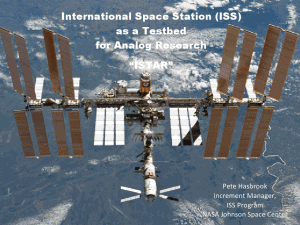 The first is called ISS as a Testbed for Analogue Research, or ISTAR. 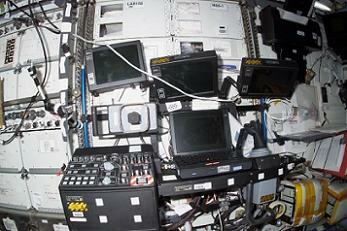 ISTAR will involve using the ISS as an analogue to investigate some issues of BEO exploration, such as introducing time-delays into ISS communications similar to those experienced on BEO missions while at the same time giving the ISS crew full control of their timeline in order to decrease their dependency on ground control. This experiment is designed to identify and iron out any problems associated with time delays and autonomous crew planning prior to undertaking BEO missions in the future. 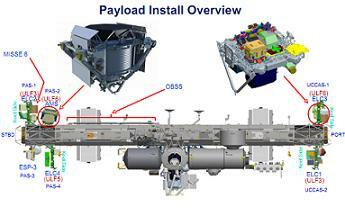 Another noteworthy experiment is the Robotic Refueling Module (RRM), which was delivered to the ISS on STS-135 in July this year. 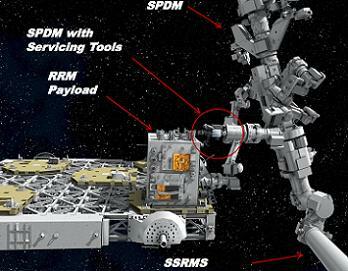 While these are just two examples of high-profile experiments to be conducted on station in 2012, many hundreds more will be ongoing both inside and outside the station, some involving crew participation, some continuously proceeding in automated mode. 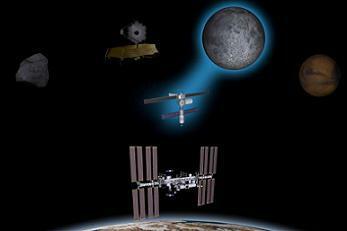 Collectively, the wealth of data from these experiments will leave a legacy that will outlast ISS. (NSF and L2 are providing full transition level coverage, available no where else on the internet, from Orion and SLS to ISS and COTS/CRS/CCDEV, to European and Russian vehicles).